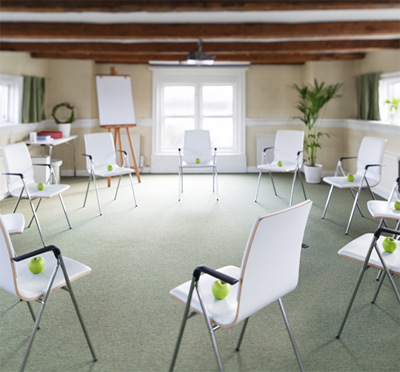 Hufvudsta Gård is a professional facility suitable for meetiung up to 100 persons. It is situated on a cliff facing the water of Lake Malaren. 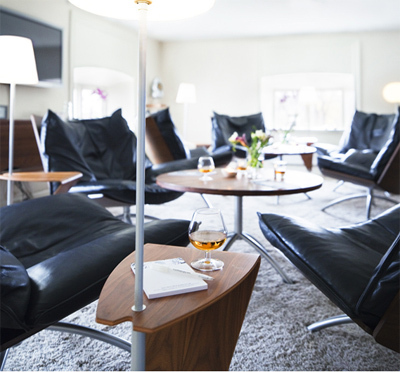 Here, Sweden's 19th century history lives and breathes, still in modern interiors that give a strong impression to its guests. Hufvudsta Gård offers only day conferences. 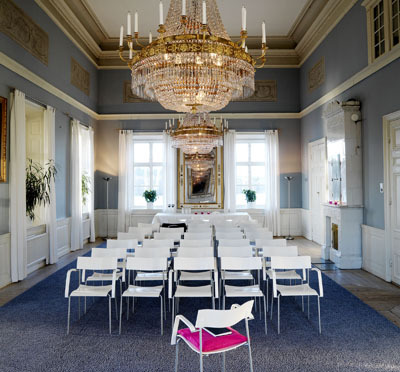 Hufvudsta gård has 12 conference rooms in inspiring design for groups for up to 100 delegates our the astonishing ballroom. 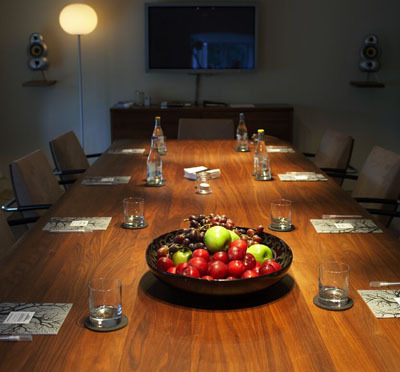 Like everything else in the facility, the meeting rooms are well-planned and can be furnished to match your requirements. 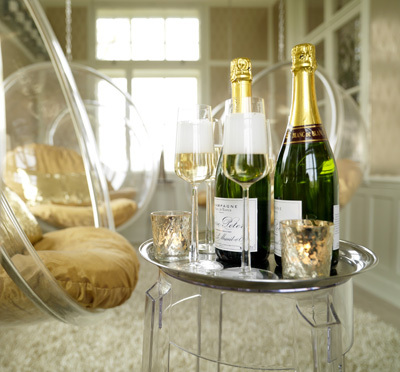 Our venue offers personal meetings in more or less relaxed atmosphere, where colleagues can meet in, for example, at the Champagne bar where you sit down in bubble-like chairs. 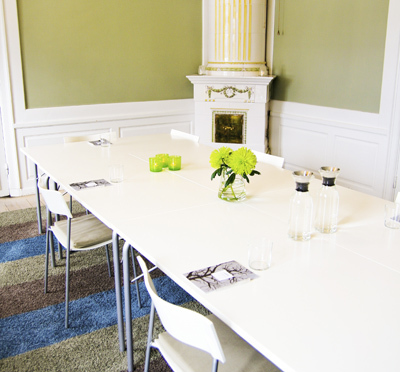 In addition, Hufvudsta Gård offers a range of different and modern options for the meeting. Delightful Swedish flavors are served with popular international influences. We focuse on a balanced combination of the best of the tastes and involves the whole globe in search of innovative flavors. Nevertheless, the ingredients we use are not from far away since our chefs prefer to produce locally. Our competent staff can guide you through exclusive and elegant activities such as tasteful tests. 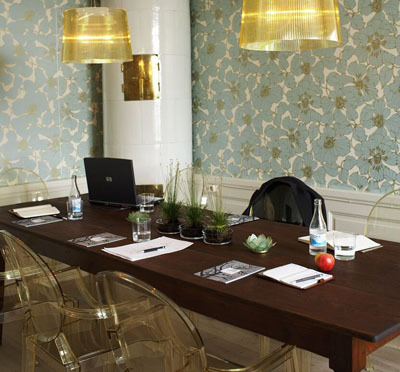 For city conferences in greenery and seaside surroundings, Hufvudsta Gård is an excellent choice. Seven minutes by car from central Stockholm is enough to reach this treasure next to Mälaren's beauty. 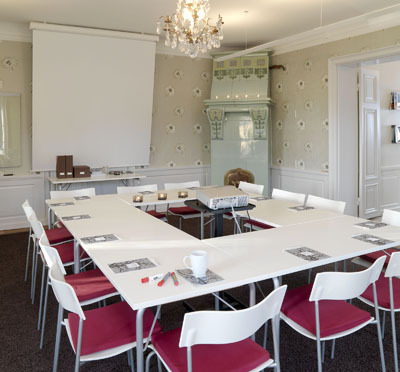 Besides renting one, two or more conference rooms, you have the opportunity of renting the entire buiding Hufvudsta Gård for an individual group. It is required to be 50-100 participants for this unique chance where all the premises, the dining room and the porch will be only yours. Have you been to Hufvudsta Gård Mat & Möten and want to give your own comments?